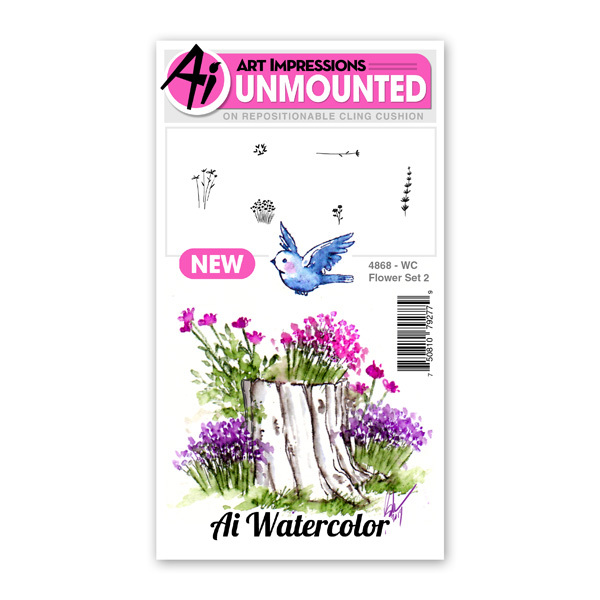 Art Impressions has just released several new watercolor stamp sets so I've had my paintbrush out playing. I made this for my mom's birthday. 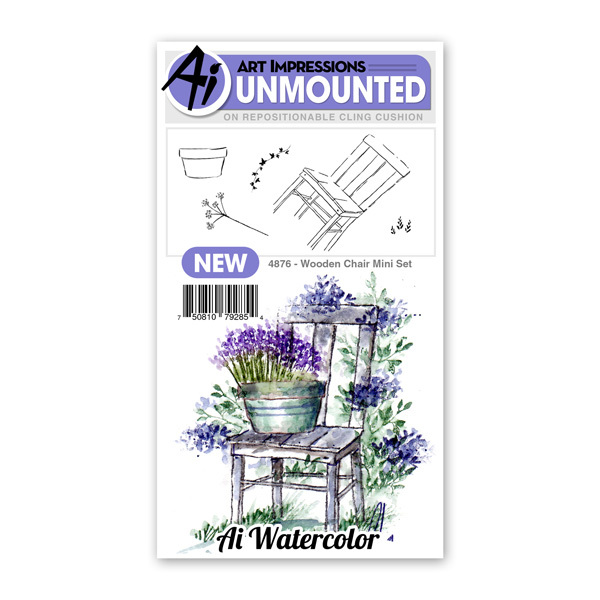 I sued several of the new sets plus some of the old watercolor stamps to create this. These are the newer sets I used. Aren't they pretty!! I love that you can mix and match all the images to create whatever kind of scene you want. 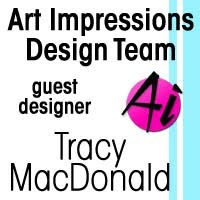 Obviously I am still in the learning process for using these stamps, but they are really fun and offer a different kind of stamping experience. 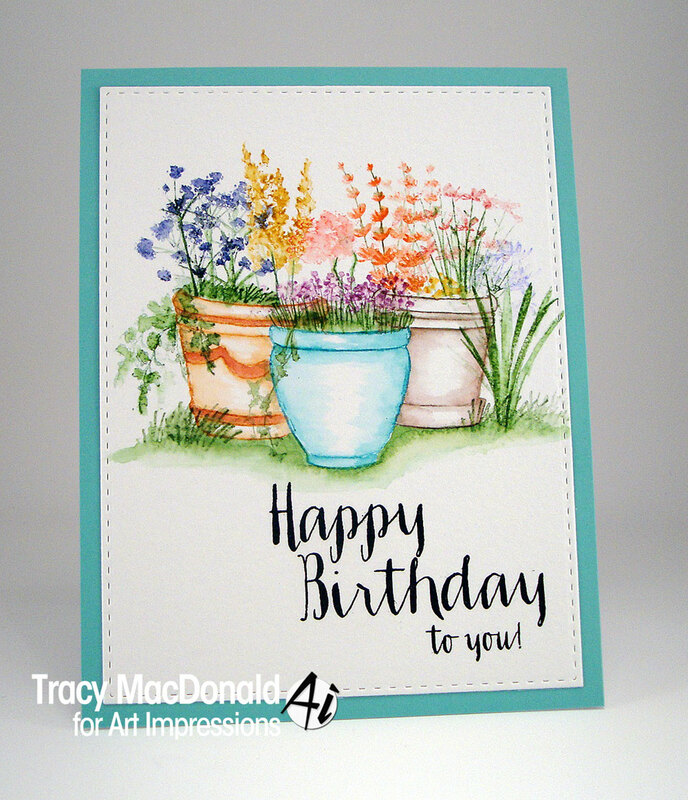 Stamps--Art Impressions, sentiment from WPlus9 "Strictly Sentiments 5"
Gorgeous Tracy! I love how you have used different images from various sets. Your Mom will love this! Wow, love your watercolour painting, so beautiful! 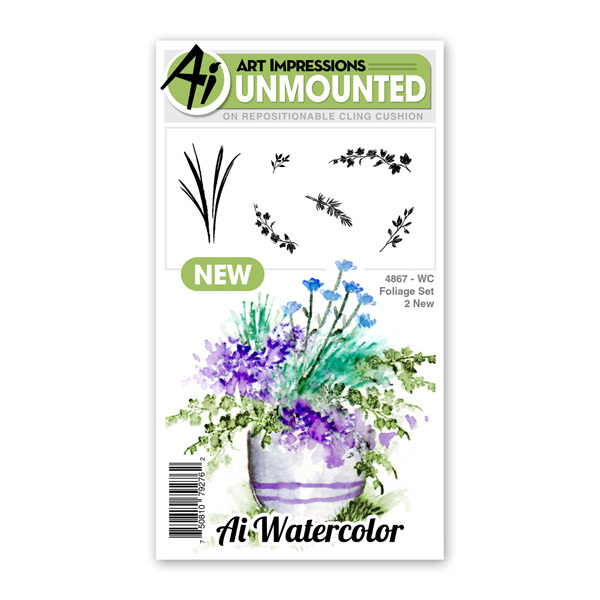 Your watercolor pots are gorgeous! Your mom will love this card you've created for her! Oh wow wow wow, this is simply gorgeous!!!! 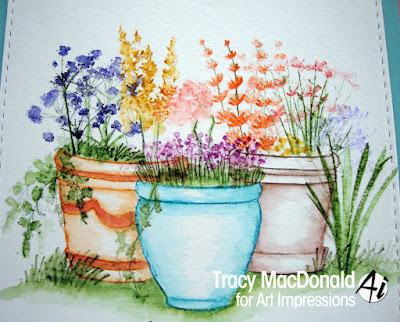 LOVE your beautiful potted garden, Tracy! Such a beautiful combination that you put together.... they look like they could be just one image, this is so seamless! Gorgeous watercolor look! Love it!